and Apple is a word with the letters A, p, p, l, e.
For numbers, instead of saying letters we call them digits So the number 174 has the digits 1, 7, 4. The numbers we use every day go from 0 to 9. The digits are: 0, 1, 2, 3, 4, 5, 6, 7, 8, 9. Since there are ten digits, we use the word decimal. What if we only had two digits to use, 0 and 1? Could we still make numbers? We can make the numbers: 0, 1, 10, 11, 100, 101, 110, 111 and so on! we just put them in the same order. So b0 = d0, b1 = d1, b2 = d10, b3 = d11 and so on! We already learned about how computers use 1 and 0 to turn lights on and off on your computer screen. The whole computer uses just binary numbers to do all the math to turn those switches on and off. Just think, giving a computer a number like: 1110 can be like telling it to turn 3 lights on, and the other one off! Coyotes are animals like dogs that live in North and Central America. and hunt for food at night. Even though a coyote is like a dog, their howl doesn't sound like a dog or wolf howl. The patella is the kneecap bone, right at the bottom of your femur. 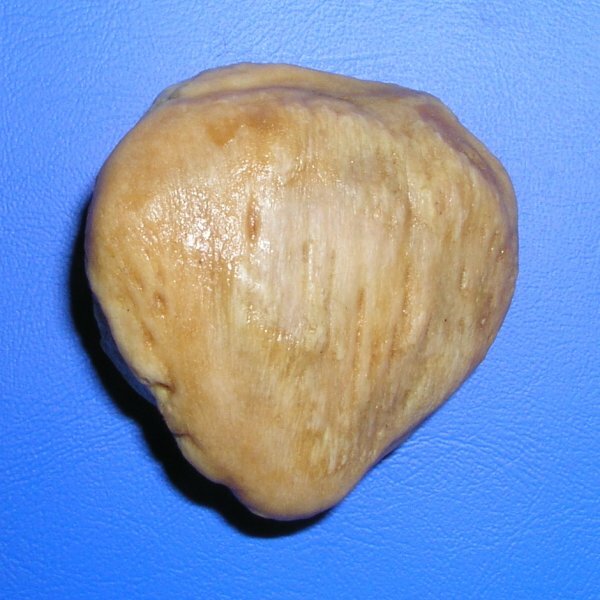 It is the small bone right at the point of your knee. 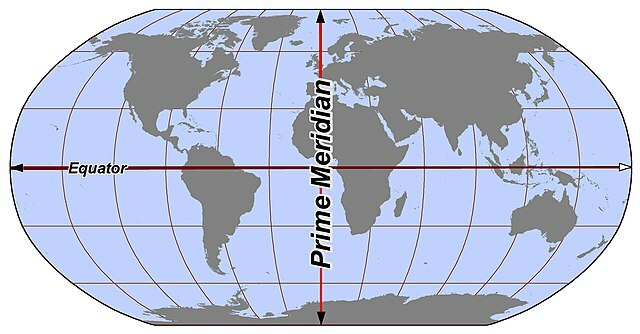 to split it into East and West we use the Prime Meridian. the Royal Observatory Greenwich, in London England. Apostle's Creed - we're getting there! The Holy Spirit lives inside of us, and helps us to make the right decisions in life and to understand God's word. The My in that sentence is for the planet Mercury. and it's also the smallest of all the eight planets. Earth orbits around the sun every year, which is 365 days. Mercury's orbit or year is only 88 days! The planet has very strange days too. It takes two whole Mercury years for it to finish one whole day and night. and then totally dark for another 88 days. We learned that red orange and yellow, in French is rouge orange and jaune. and green, blue, purple and pink is vert, bleu, violet and rose. turning thousands of light bulbs on and off. and they were hooked up to the same light bulb. Would you have to have both switches set to ON for it to turn on? Or is just one good enough? In computers and electronics, we call that using AND and OR. that means you need A AND B on. that means A OR B.
they sometimes call them logic gates. There are different pictures for an AND gate and an OR gate. The AND gate sort of looks like a big letter D.
The OR gate sort of looks like a spaceship! you can draw up big pictures that can be used as instructions for building a computer! but there is a real animal called the Komodo Dragon. and can grow to be up to 10 feet long! their nose could touch the rim of a basketball hoop! which is called the femur. 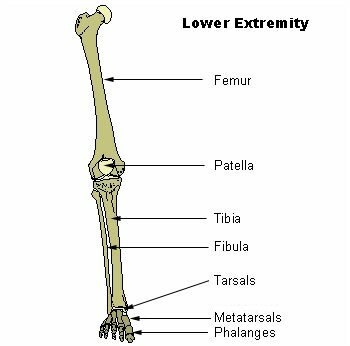 The femur is the longest, heaviest and strongest bone in the human body. Pacific, Atlantic, Indian and Southern oceans. 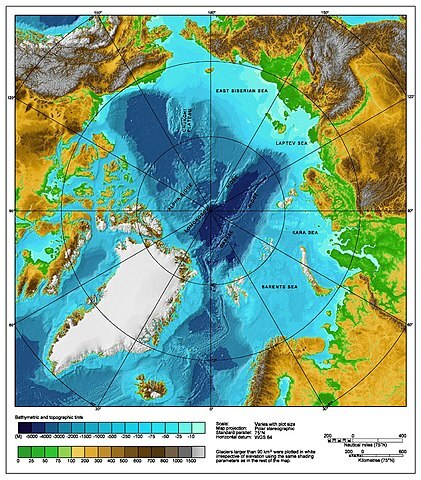 It's the ocean at the very top of the earth, where the North Pole is. Right now up in outer space, there is a space station where astronauts can go and stay for days, weeks, even months! It's called the International Space Station, or ISS for short. Both Russia and the USA worked together to build the space station. in French is rouge orange and jaune. You probably already know this, but True is a way of saying Yes. and False is the opposite and means No. named after the famous mathemetician George Boole. In computers and electronics, it's kind of like you're looking at a light bulb. If the light bulb is ON, you can call that True or Yes or even the number 1. Is the light bulb is OFF, you can call it False or No or the number 0.
or even millions of little ones and zeroes, meaning True and False. and the light switches come from things like your keyboard and mouse. and that's exactly what some of the oldest computers (like the ENIAC) looked like! There are two kinds of camels in the world, the kind with one hump and the kind with two humps. 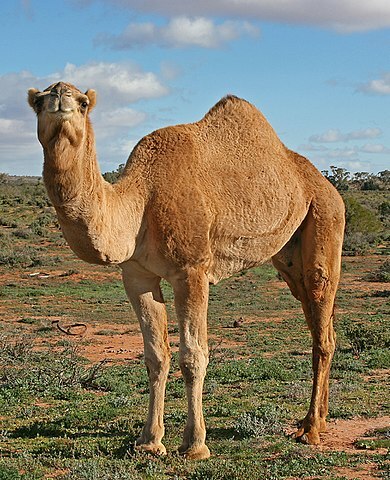 One hump camels are called dromedary camels. Two hump camels are called bactrian camels. In the old days, people thought camels just stored big bags of water inside their humps. In a way that's right, because they're actually big piles of fat. their body turns the fat into energy and water that helps keep the camel from drying up in the hot weather. 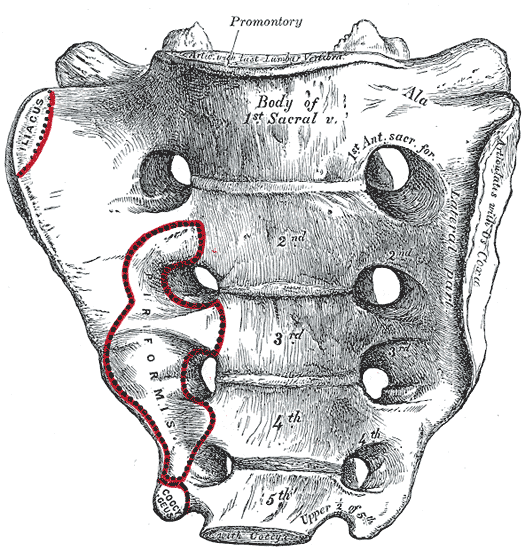 At the base of the spine, the sacrum is connected to the pelvis, or hip bone. 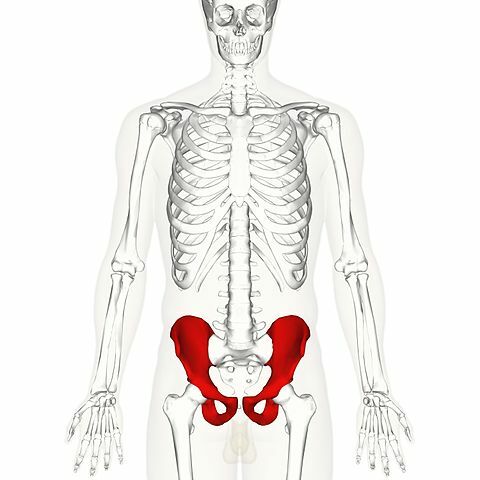 The pelvic bone is made up of three parts, the ilium, ischium and pubis. The ilium is the hip bone part you can feel on your side. 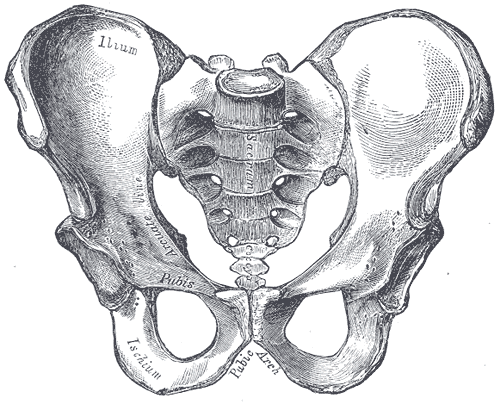 The ischium is the bone that you sit on, right on either side of your bottom. The pubis is right in the middle below your tailbone. Ok so in order of size so far we've learned about the Pacific, Atlantic and Indian oceans. It's the ocean at the very bottom of the earth, right around Antarctica. Apostle's Creed - let's keep learning it! After Jesus came back to life and appeared to the apostles, he went up into heaven to be with God the Father. First we launched satellites into outer space. Then we sent people up to orbit the earth. Next we sent a spacecraft with no people to land on the moon. So who was the first to put a person on the moon? 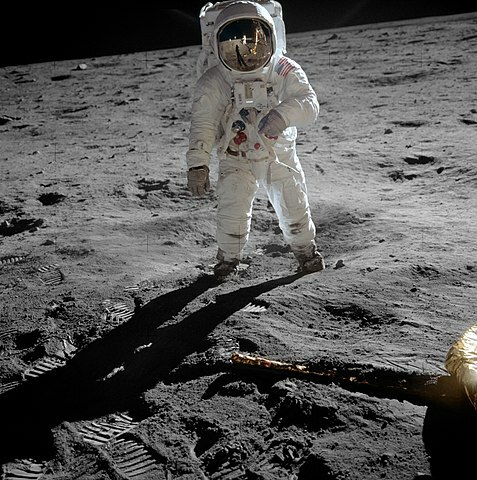 The two astronauts Neil Armstrong and Buzz Aldrin were the first astronauts to ever set foot on the moon. Isn't it just amazing to look up into space at the moon and know that someone actually walked on it? We learned our French alphabet, now let's learn some colors! Remember we learned before about measuring waves using wavelength. And we learned that how often something happens in a given amount of time is called a frequency. Well did you know that the colors of the rainbow are all different because of their wavelength and frequency? For example, the color red has a very long wavelength, and a very low frequency. But the color violet has a very short wavelength, and a very high frequency. and why we put them in the order of ROY G BIV. Red is the longest wavelength and lowest frequency. Violet is the shortest wavelength and highest frequency. Green is right in the middle. Even though rhinos have huge horns and big feet, it's interesting to know that they don't have any front teeth! Rhinos only eat plants, and they use their large back teeth to grind up the plants they eat. the same type of thing our hair and fingernails are made of. So their horn is like one huge really tough fingernail! A group of rhinos is called a crash which makes sense! They can also be called a herd. Last we learned about the sacrum which connects to the lumbar vertebrae. Sometimes it's also called the tail bone. It is made up of three to five bones that curve forward toward the front of your body. The two big oceans we learned about already were the Atlantic ocean and Pacific ocean. 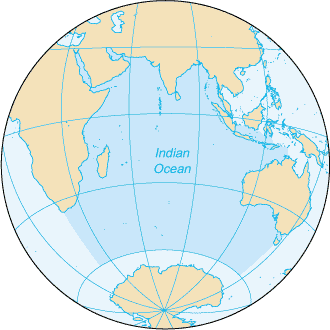 is called the Indian Ocean. It's the third largest ocean. We're almost done with the Apostle's Creed! After Jesus died on the cross, he went to hell because of the sins he carried on his shoulders for us. But because he was God's son, he defeated death and hell and came back to life. We've learned that the first spacecraft to land on the moon was the Luna 2, by the Russians. The first American spacecraft to land on the moon was the Ranger 4 on April 23, 1962. So all together, let's say it! You can try singing it to the alphabet song. Now you know your French ABCs! Frequency means the number of times that something happens during a certain length of time. that is the length of time. then 3 over 10 is the frequency. You can write it like 3/10. We can use frequency to measure lots of things from music to heart beats to airplanes! Sometimes we also use the word occurrences instead of saying number of times. River otters love to swim when they're hunting for food or just playing. They can stay underwater for 4 minutes! that shut tight to keep the water out. That would be pretty nice to keep water out of your nose, wouldn't it? the cervical vertebrae, thoracic vertebrae, and lumbar vertebrae. There are two more parts on your spine at the very bottom. The first one is called the sacrum, a somewhat large triangle shaped bone right in the middle of your hips. We'll learn about the other part next Tuesday!